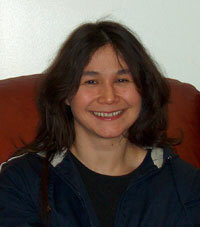 My name is Viola Joan Stepetin and I am a Student Advisor for the Alaska Native Science Commission. I am from the Pribilof Island of St Paul. That is my father's home and my mother is from Atka on the Aleutian Chain. At present, I am studying science technology and civil engineering at the University of Alaska, Anchorage. In January, I traveled to Kotzebue for my first Board and regional meeting. I learned how the Board operates and their goals along with the mission statement and how these goals and objectives can be met. This was a rewarding and exciting learning experience for me. While in Kotzebue, I met local Elders from the Northwest Region, representatives from the NationalScience Foundation and scientists performing various research projects in the region. I learned the roles and interactions of these organizations and saw how changes would better serve the Native people of Alaska. I also learned of the challenges that are in the future for the Board and Alaska. However, after spending three days with the Board members and staff I have confidence that the challenges will be met. My personal experience was spiritual growth. I was surrounded by strong and courageous Alaska Native leaders. I am gaining strength and confidence from them by watching, listening and learning. It is refreshing to be on the same team and speak the same language regarding Native issues and concerns. I am proud to be part of the Alaska Native Science Commission Board and will strive to contribute as much as I can and make the most of my role as a student advisor.